Mango on Sticky Rice is a traditional summer dessert because mangoes are in season during the summer months of April and May in Thailand. 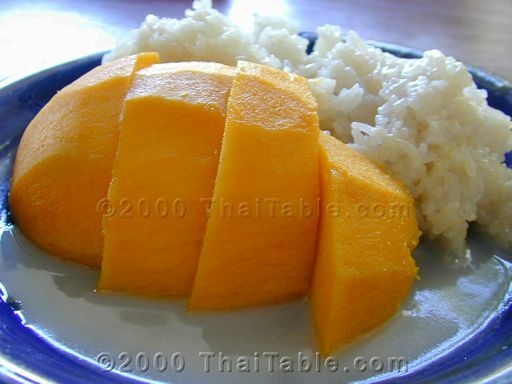 When I think of mango on sticky rice, I think of the days when school is out--the carefree summer. 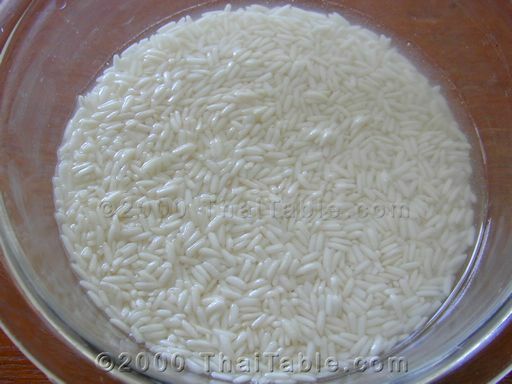 If you're visiting Bangkok, check out the oldest Coconut Milk Sticky Rice shop, Kor Panit. The tiny store has been around for over 80 years and is known for serving the best Coconut Milk Sticky Rice and Mango Sticky Rice. It is between Khao San Road and Wat Benchamabophit aka the marble temple. 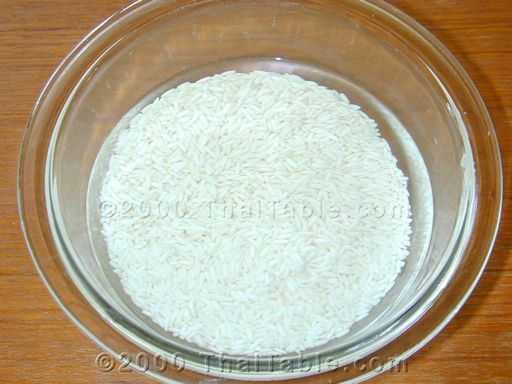 Make the coconut milk and sticky rice below. 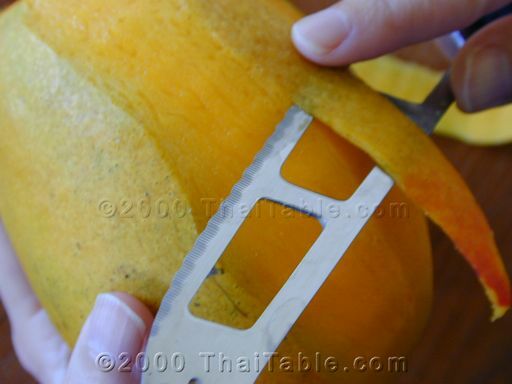 Peel and slice ripe mango. 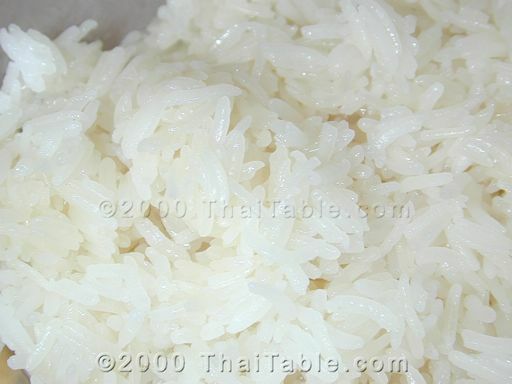 Place sticky rice on a small plate and top with mango. Spoon the coconut milk on top of the mango and sticky rice.